A representative from the Wisconsin Bureau of Consumer Protection will present information on identity theft and data breach awareness in our newly added December seminar. All are welcome to attend this free class! Registration is encouraged. You can register online or print and drop off a registration form. Tuesday, December 5, Noon - 1 p.m. There were 1,093 reported data breaches last year - approximately 36 million records exposed. 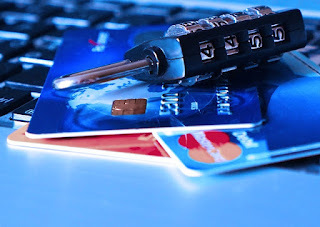 The more you understand about the common causes of data breaches and the associated identity theft risks, the less vulnerable you are. A representative from the Wisconsin Bureau of Consumer Protection will present information on identity theft and data breach awareness. This one-hour program includes a look at recent data breaches and their common causes. The program will also explain the different types of identity theft, how to recognize it and how to prevent it - including information about Fraud Alerts and Security Freezes. And just a reminder - we have one more great class scheduled this fall for Milwaukee. Don't miss Books UnBound and Fastcase on Thursday, November 2, Noon - 1 p.m. All Milwaukee classes are free and held at the Milwaukee Public Library's Central Library location. Watch our classes page for updates and new classes!